May | 2017 | Footwear Fashionista … a sneak peek into my shoe closet! Dorateymur “Munise” color-block mules, by the eponymous designer, Dora Teymur. 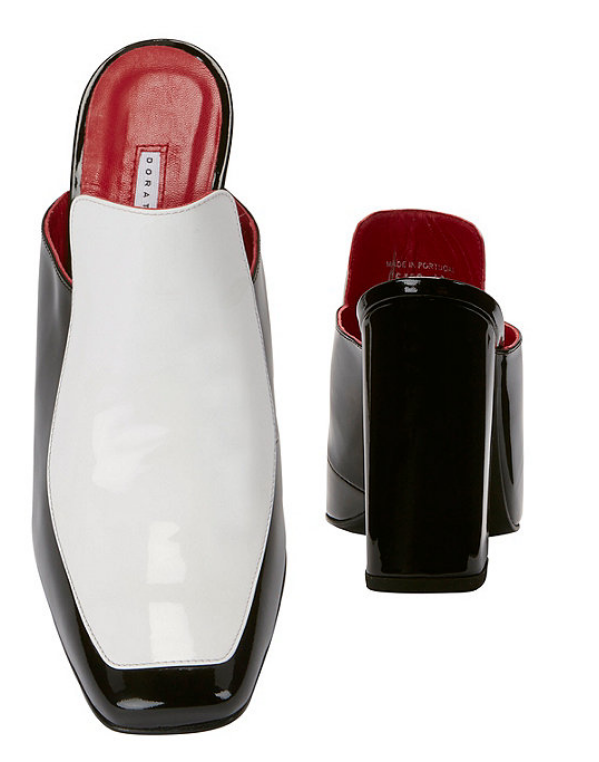 This sculptural and contemporary color blocked open back pump is my first pair from this brand and they are quickly becoming a favorite. 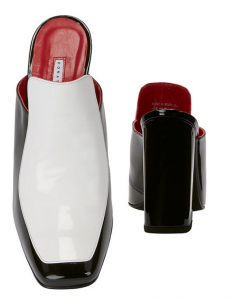 A 3.5″ high block heel, patent black and white leather with a surprise red inner sole. What’s not to love?! Comfy, stylish and oh so mod, I’m can’t wait to see what other styles this brand has to offer. 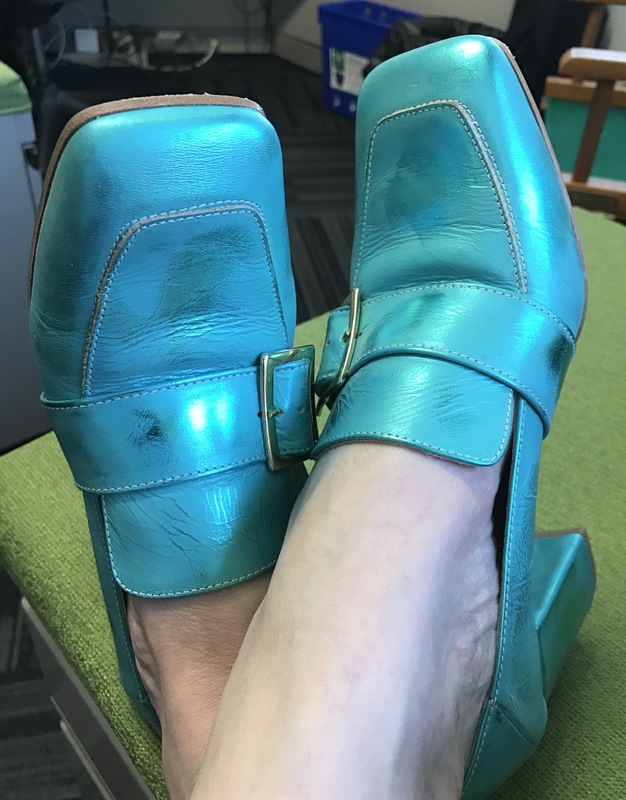 No Monday blues with these loafers! These shoes just make me smile. Metallic turquoise/teal with hot reflective spots and scuff to give it some street cred. Grabbed these beauties at Sfizi in Chicago – the brick and mortar of Delicious Shoe truck. 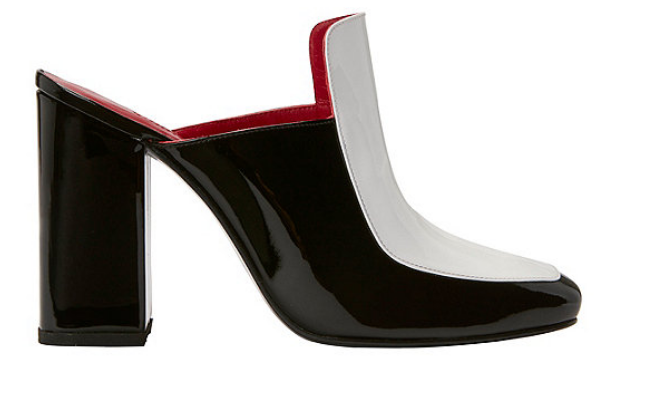 Shoes have a nice chunky 2.5″ heel. Oh so comfy and stylish too. By Popshoes, Italy. Chic, must haves.